Rodrigo Kuntz, a 15-year aerospace industry veteran and former CEO at BRVANT Technologic Solutions, has joined Drone USA as chief technology officer of the New York-based unmanned aerial systems manufacturing company. 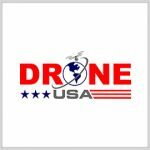 He will lead Drone USA’s efforts to integrate its technological road map and business strategy as well as help the company identify business risks and opportunities, research and develop systems and maintain compliance with all applicable regulations, the company said Wednesday. 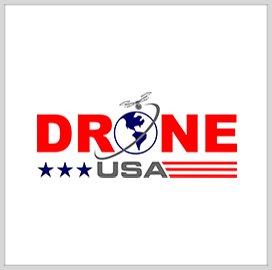 “Kuntz’s vast experience in the development of leading-edge technologies, and his knowledge of the UAV industry will prove invaluable as we advance in our expansion, and continue to execute our business plan, ” said Michael Bannon, Drone USA CEO. Kuntz has previously led BRVANT for seven years and oversaw the Brazil-based company’s production and deployment of autonomous systems for multiple civil and military customers globally. Before that, he was a product development engineer at aerospace company Embraer (NYSE: ERJ), where he led efforts to build aircraft electronic and software systems. He holds a bachelor’s degree in computer engineering as well as a master’s degree and doctorate degree from the Technological Institute of Aeronautics in Sao Jose dos Campos, Brazil.